Westmeath footballers kick off their 2010 National Football League campaign with a home game this Sunday in Cusack Park against Donegal. Both sides were relegated from Division 1 last year, and with no such thing as an easy game in store in a highly competitive Division 2, Brendan Hackett’s men will be keen to get off to a winning start. The new season also marks something of a new departure for football in the Lake County with a new manager in place and more importantly with a number of regulars from the past decade no longer involved. Former all-stars John Keane and Dessie Dolan have both decided to call it a day. Derek Heavin, Martin Flanagan, and Alan Mangan are also no longer involved. Needless to say theirs will be big boots to fill. The closed season has not helped Hackett’s preparations but I guess it’s the same for all teams. Having run his eye over a large number of players throughout the county, this week he cut the panel from 38 down to 30. He has also indicated that further changes may be made at the end of the league. With so many old faces now gone there are plenty of places up for grabs in the coming weeks. Those that get their chance this Sunday will no doubt be keen to impress. John Gaffey, James Durkan, Gary Flanagan, and Aidan Finan amongst others are likely to be in the shake-up for starting places. While home advantage is always a bonus nobody will be under any illusion as to the threat posed by John Joe Doherty’s men. They were recently crowned McKenna Cup champions, accounting for Tyrone after extra time in the final. Westmeath’s pre-season form has on the other hand been less than impressive, losing heavily to DCU and Wexford. They did enjoy a facile win over Kilkenny in the O’Byrne Shield and a win over Cavan in a challenge. There is no denying that an air of pessimism exists throughout the county in relation to the fortunes of our senior footballers for the coming year. The management team have already being calling for patience, which, considering the season hasn’t begun is not a great sign of confidence from within. Westmeath have been crowned Division 2 champions three times since 2000, and while that seems highly unlikely this season, at the very least we should be hoping to avoid relegation. 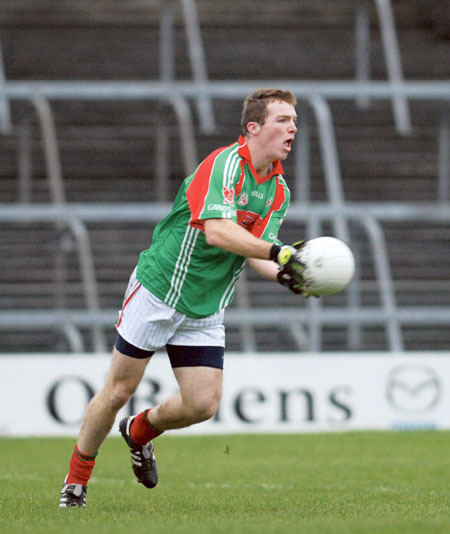 RTE analyst Martin McHugh has picked Westmeath as the most likely team to be relegated. Perhaps he will be proven right in time but it’s up to every Westmeath man who dons the maroon and white in the coming weeks to prove him wrong. In the coming weeks Westmeath face Armagh and Meath away, Laois at home, Kildare away, Down at home, and Tipperary away. Nothing easy there so every bit of support will be welcome. A win on Sunday, unlikely as that seems, would be a massive result for Hackett’s men. I wish them all the best. The draw for this year’s championships took place at the county board meeting in the Park Hotel Mullingar on Wednesday night last. Prior to the county board meeting a large attendance was present as GAA president Christy Cooney launched Westmeath’s five year strategic plan. More details on that next week. Kilbeggan v Shandonagh Tang v Ballinagore. Plenty of food for thought with these draws, which we will have a closer look at next week. Time for a new year and a new you?